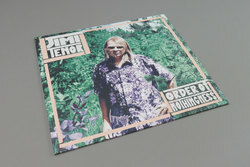 Jimi Tenor - Order of Nothingness. Vinyl LP. Bleep. 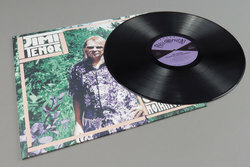 Super cool new avant-jazz album from the man Jimi Tenor on Philophon. Jimi has been doing his thing for decades now with no sign of slowing down, his own unique brand of cosmic jazz-funk crossed with oddball electronic stuff has won him fans the world over and we’re pretty fond of him ourselves. Here he goes heavy on the flutes, sax and spiritual atmospheres (‘Naomi Min Sumo Bo’) as well as 70s era afro-rock (‘Chupa Chups’). Nice album closing title track on this one also. If you needed any further proof that this guy can do it all, look no further!